Home Chess Opinion pieces Gary Kasparov was supposed to come to Nairobi in 1985! 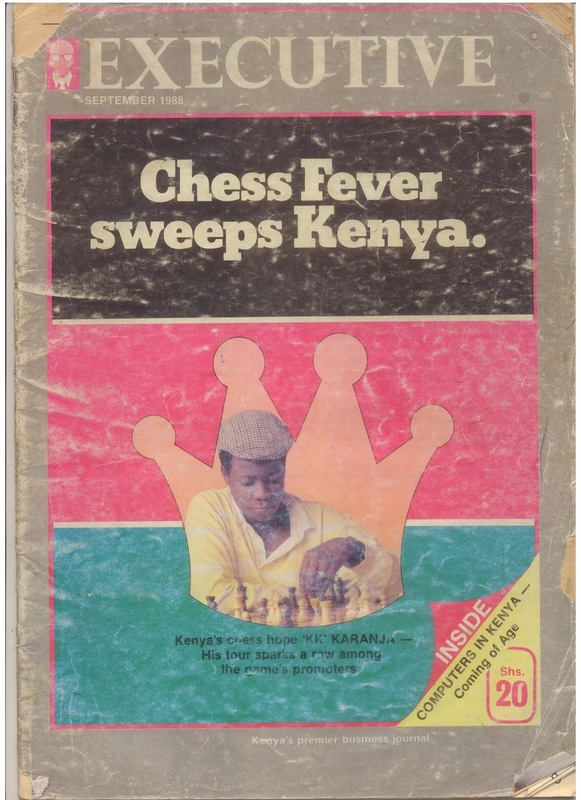 Gary Kasparov was supposed to come to Nairobi in 1985! I am sure many of you would have seen loads of congratulatory messages to Gary Kasparov on the 30th anniversary of him becoming the 13th World Champion on 9th November 1985. Yes that was 30 years ago and it is just amazing at how time flies so quickly. Kenya was going through an era of gloom and doom. President Moi has crushed the attempted coup in 1982 and by 1985 he had full control of all the files and both white and black diagonals. Every square whether it was f6, e6 or even a7 was under his firm control. A number of people were thrown into detention, there was one Party rule and the economy was just chugging along. This article is really to pass on our congratulatory message as well and I thought that it would be nice to have a short story as well. I am trying to recall the details of that match and who was I supporting. Was it Anatoly Karpov or Gary Kasparov. You will recall that Anatoly had crushed my long time hero Vicktor Korchnoi to become World Champion in 1978. My views changed after that as I came to realise that Anatoly Karpov was a great player with a string of victories and many of his games were fantastic. I think I changed my mind to support Kasparov when he made his dramatic comeback by winning game number 47 and 48 in their long drawn out match in 1984. Just after this comeback the late Campomanes who was the President of FIDE cancelled the match on health reasons. The decision was raised a huge storm. My suspicion was that the Russian Chess Federation were concerned that their Hero of Motherland Russia was about to lose his title and they had to rescue him. At the time Karpov was the poster boy for the USSR while Gary was the unknown new kid on the block. 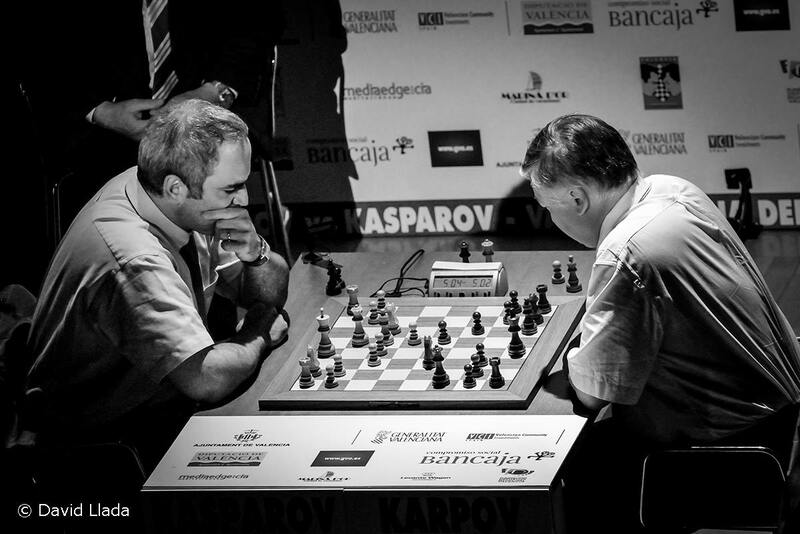 In the rematch held in Moscow Kasparov won convincingly to become the 13th World Champion. A true Champion. This is game number 24 in which Kasparov only had to draw to become World Champion but he went on to win this final game. I will bring you some two stories from book “The Turbulent Genius of Garry Kasparov” by Fred Waitzkin. This is the cover of the book. I think the photo of Gary holding his hands like he is praying is really not reflective of the man. I think they should have used a better photo. Gary did visit Nairobi between during his whirlwind tour of African countries trying to drum up support for his bid to be FIDE President. The question we have is who made that call. Clement Miheso was the Chairman at the time and I cannot visualise him trying to pull such an amazing feat of inviting the World Champion. Was it the former flamboyant Chairman MG Sharma was made the call? We might never know the answer. Former Chairman of Chess Kenya – Clement Miheso. Did he make the call? The same book has another interesting story that concerns Kenya. 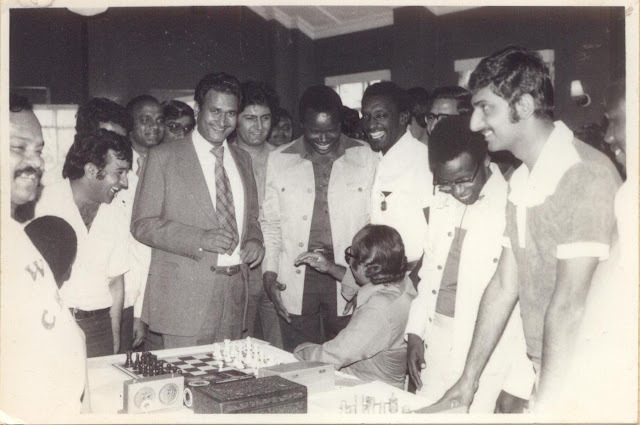 This time it is about the famous “KK Karanja” – the chess wonderboy who visited Kenya in 1988and which generated a huge amount of publicity. Here is a photo of Gary at the famous Sikh Union Club along Forest Road, Nairobi.